Glossy deep green leaves cover the branches of Red Escallonia with tubular crimson red flowers in summer until autumn. This evergreen is well suited to coastal areas. The Escallonia Red (Escallonia Crimson Spire) is a beautiful, large, evergreen hedge with glossy green leaves that are a deep green, creating the perfect backdrop for the crimson red flowers they produce. These flowers make an appearance from June until the autumn. This hedge prefers well drained soil that is moist, and grows well in soil that is either sand, clay, chalk or loam. They are well suited to coastal areas and can be planted in either full sunlight or partial shade. Its ideal planting condition is to reside in well drained soil that has full sunlight, but is sheltered from drying winds that are cold. 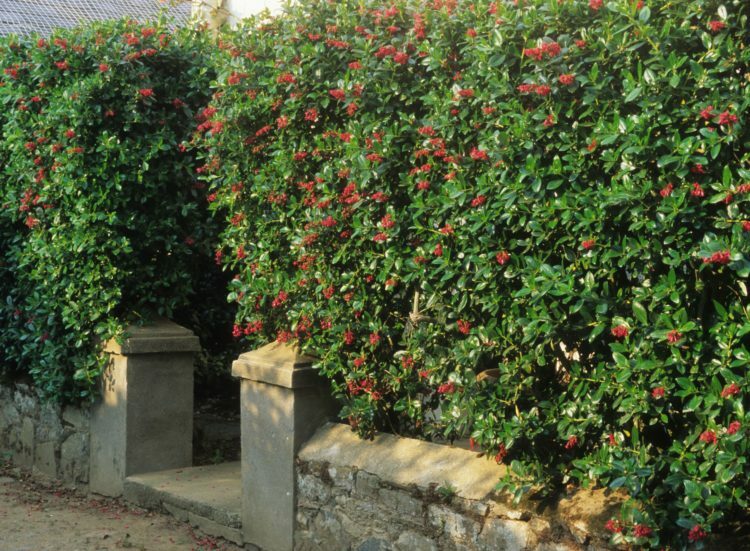 The Escallonia Red can grow up to heights of four metres, and anywhere between two and a half metres to four metres wide. It’s a relatively slow grower however, taking anywhere between ten and twenty years to reach its optimal height and width. It is however, a pretty privacy hedge and, thanks to being evergreen, you’ll have leaves on the hedge all year round. When it comes to pruning the Escallonia Red, we’d recommend doing so during the latter half of spring as it would have finished flowering. April and May are the preferable months, because its re-growth can grow in time before the harsh autumn and winter months. We have a range of Escallonia Red plants available in pot form. For more information on this plant or any of our other hedging plants, contact our specialist team members for more information.